There are some places one goes to just to kick back and enjoy a simple meal. Diners as a whole fit that bill most of the time as who can argue with the calming effects of eggs, greasy potatoes and a good stiff coffee? 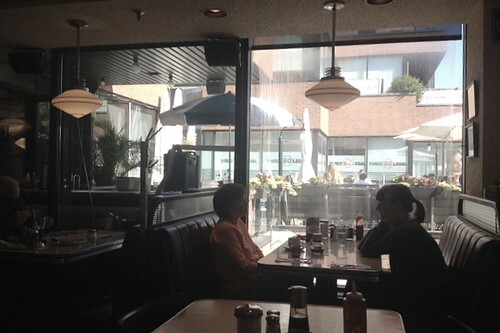 I'm sure everyone has their opinion on the best or trendiest greasy spoon in Toronto, and honestly... I'm pretty reluctant to write about Flo's. Not that the food is bad, it's pretty good. I don't want to tell everyone where it is, because it's my diner!... and I better not see you there. I've been going there since I came to Canada in high school, one score and some odd years ago. It used to be in this really cool Art Deco building on 10 Bellair across from Harry Rosen, a stone's throw away from a derelict ruin of a theatre marquis / parking lot which is now the entrance to Pottery Barn. Oh I so loved that place, what comfort and nostalgia. Thanks to Mona Bhalla for the 4 photos below. I swear I'll get an iPhone one of these days. 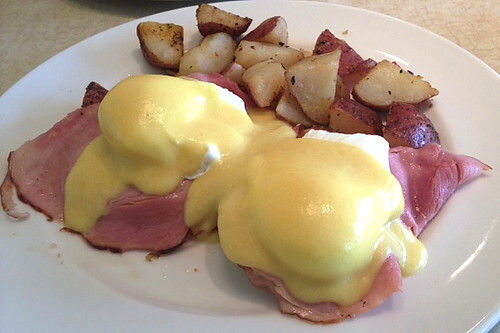 They have a pretty decent menu of diner classics including various melts and sandwiches, but we really end up there for the all day breakfast, usually their excellent eggs benny or some variation thereof. 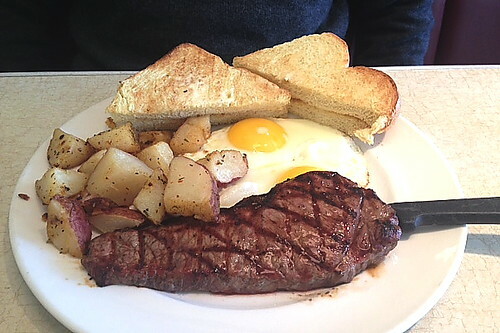 I usually get steak & eggs sunny side up with some egg bread and home fries. 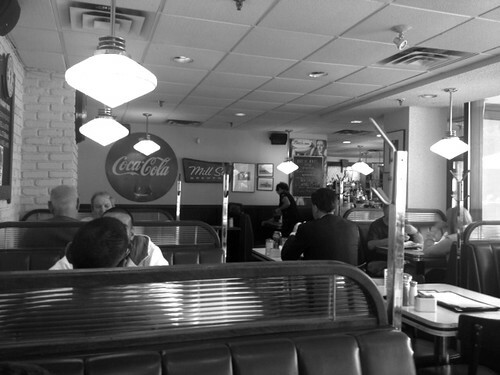 Diners are so deeply embedded in the fabric of North American culture. 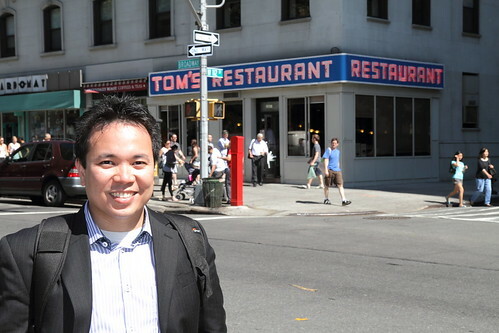 Here's a clip from the upcoming Tom's Restaurant movie a.k.a. the "Restaurant" in Seinfeld. Which also happens to be the diner in this 90s hit... yeah I'm really dating myself!